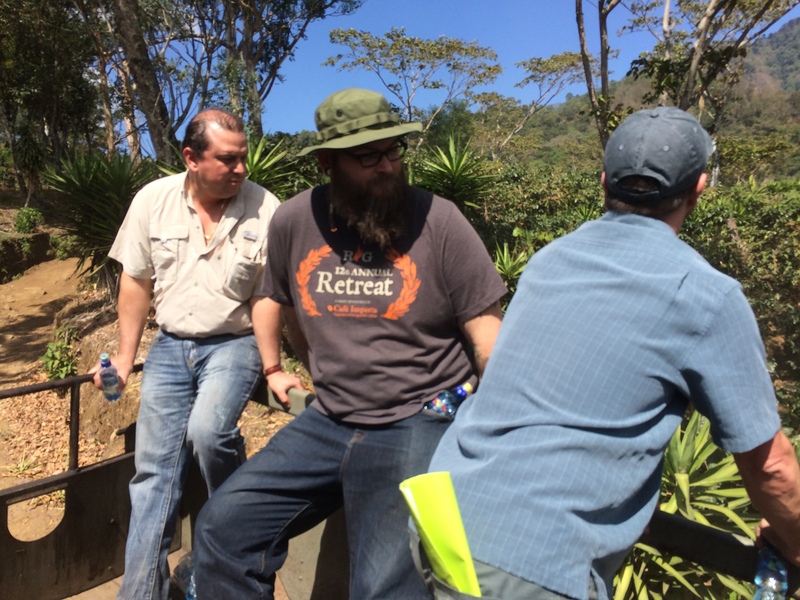 We have been a bit remiss in chronicling our Kean Coffee origin trips over the past several years…just too darn busy roasting coffee! At some point we will backtrack and share more of our adventures. 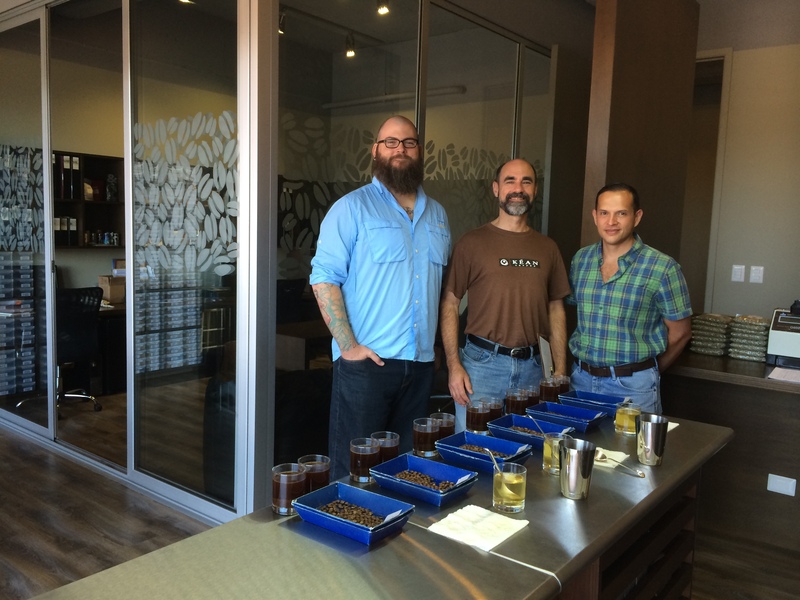 But here, at least, Shawn Anderson, our wholesale division roaster, has shared some of his experiences on a recent trip he and Martin made. When we (Martin Diedrich and I) arrived in Guatemala City the first evening, I had no idea what to expect. After all, this was my first origin trip and, as I would soon find out, Guatemala City is in no way a fair representation of Guatemala and the beauty it holds. Our first day began with meeting our wonderful host, Renardo Ovalle (of the Vides family which owns the La Bolsa farm in Huehuetenango). Renardo and his lovely wife own Genera Café in Guatemala City. 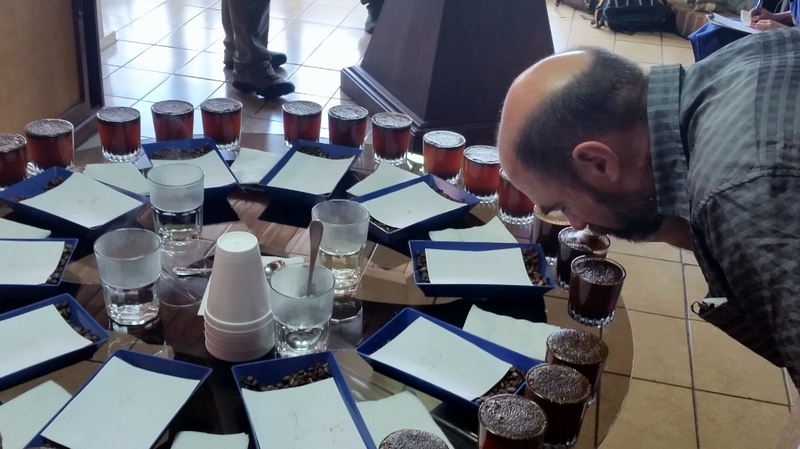 After a tour and cupping at Genera Café, we took a tour of the impressive facilities at ANACAFE (Asuncion Nacional de Café), the headquarters of Guatemala’s National Coffee Association. Then we were on our way to Huehuetenango to visit the La Bolsa farm. Huehuetenango was the most distant and remote region we were to visit on this trip. It took us an entire day of driving through some of the windiest and roughest roads I’ve experienced to reach the La Bolsa farm. Located in the Cuchumatan mountain range, these coffees are gown in the highest elevation the country has to offer. Though the drive was long and rough, it was well worth it. I couldn’t have asked for a better farm or hosts for my first coffee farm visit. The La Bolsa farm is breathtakingly beautiful and seemingly secluded from the world. It was getting dark when we finally arrived, but we were still able to take in the stunning view. Nestled in the Cuchumatan Mountains, the farm manages to be both vast and humble at the same time. The Vides family has a lovely little home built on the same patio where they dry the coffee. Standing on the patio, surrounded by mountains filled with coffee trees, I couldn’t help but feel blessed to be there. Our first day on the Farm began early, with a delicious home cooked breakfast and a walking tour of the farm. 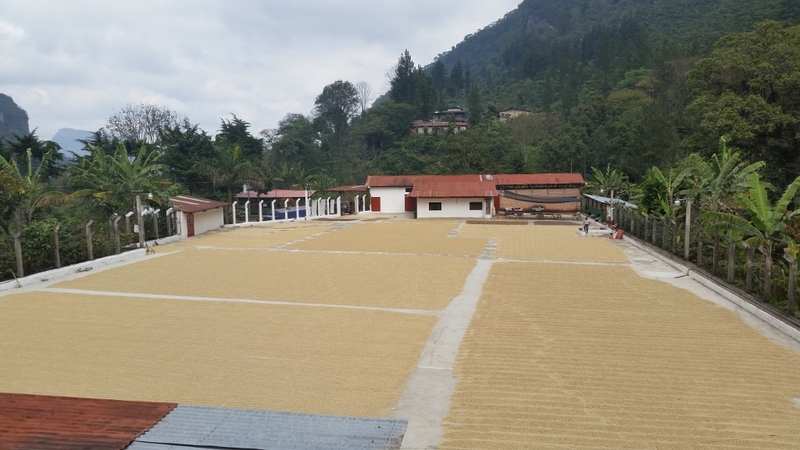 We saw the coffee being laid out to dry on the patio after being processed as well as the actual wet mill where the processing occurs. We then hiked through the mountains to see the coffee trees themselves. I had no idea how hard these farmers work until I was actually there. Just getting to the trees can be exhausting and I wasn’t even working! The elevation is extreme and the slopes are daunting at best. Each and every tree at La Bolsa is visited at least 15 times a year; 3-4 times for fertilization, 3-4 times for pest control, 3-4 times for pruning and at least 4 times for the actual harvest. Everything is done by hand. Everything. The same can be said for every other farm we visited on this trip. 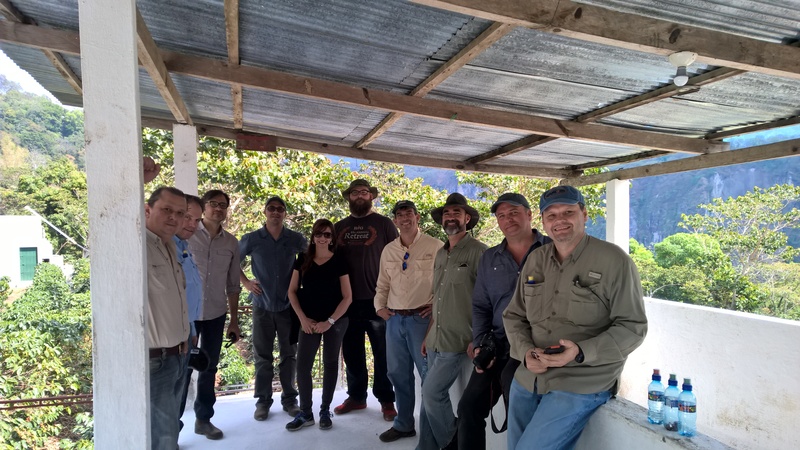 The following morning we met up with colleagues from other coffee companies to continue our tour into Atitlan: Ian Kluse from Olam, Darrin Daniel from Allegro Coffee and John D’Roucco from Mr. Espresso, among others. 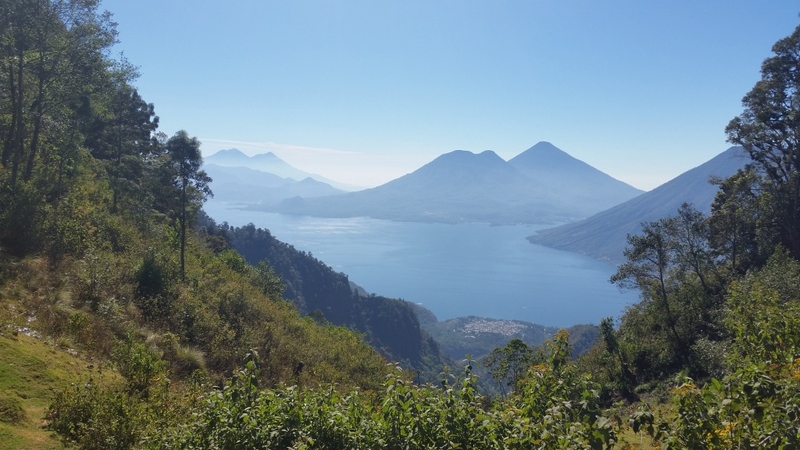 Our drive through the hills of Atitlan provided us with stunning views of the three volcanoes surrounding Lake Atitlan: Atitlan, Toliman, and San Pedro. As we drove through the countryside on our way to Lake Atitlan, we had the pleasure of visiting a few very small farms in the Atitlan region. Each of these farms worked together to form a Co-op. We met many of the farmers and villagers, posing for photos, answering questions and just getting to know people. We then reached Lake Atitlan and Finca La Providencia, owned by the inspiring Juan Francisco Pura. Juan Francisco began his coffee career at the area’s wet mill, which he still owns and operates, before he purchased Finca La Providencia. Located directly beside Lake Atitlan, this farm is beautiful and unique. Unlike the La Bolsa farm in Huehuetenango, there are no drastic slopes to overcome. The farm is flat and easily accessible. We walked with Juan Francisco through the farm, looking at the different varietals he’s growing as well as some very interesting, new growing techniques he’s trying. I believe the fact that he entered into farming from the processing side of coffee has given him a unique approach to his work and an innovative spirit. After our tour, we drove to his wet mill and cupped some lovely coffees from both his farm and the local Co-op. 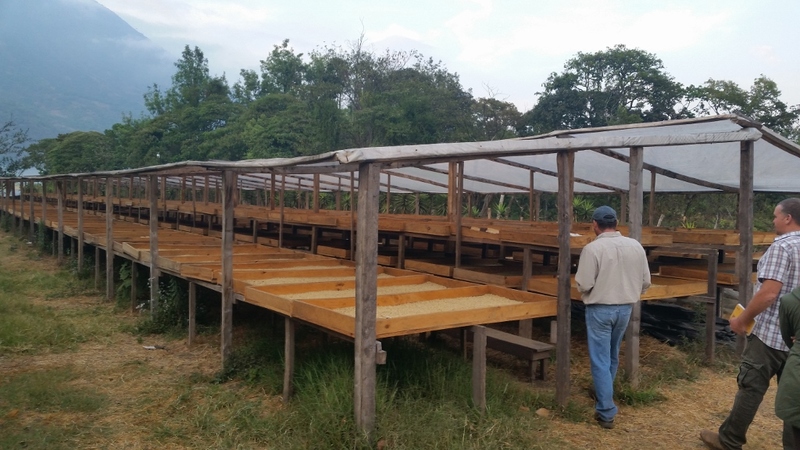 He also showed us the new raised drying beds he’s been experimenting with. 45 pounds of coffee are in each raised bed, all of which are micro-lots. Juan Francisco and his friends joined us all for dinner before we turned in for the night. The next farm we visited was as beautiful as it was massive. Ran by Andres Fahsen who jokingly refers to it as a “Natural Reserve which happens to have a coffee plantation on it”, Santo Tomas Pachuj is basically just that. Pachuj (which means “Place of Mist”) is a stunning 370 acres, 70 of which holds the coffee farm itself. Each coffee tree on this property is visited once a week, which is incredible considering the fact that the 70 acres of coffee are not all together, but sprawled out amongst the total 370 acres of land). Though all the work is done by hand, workers drive 4 wheel drive trucks and a giant old Mercedes UniMog to access their coffees and wet mill. Like La Bolsa, there are many steep grades on this property. To support the trees and soil, they plant grasses between the rows of coffee. The deep roots of the grass help stabilize the soil. Once the grasses grow tall, they’re cut down and left as mulch for the coffee trees. It’s a simply but ingenious approach. 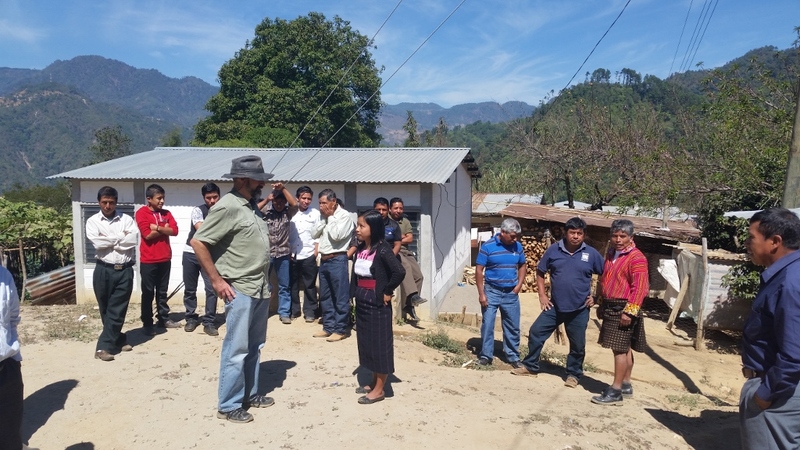 Santo Tomas Pachuj scored an almost unheard of 97 points with the Rain Forest Alliance and won’t rest until they become the first farm to score 100. Besides the 300 acres of natural reserve, they have 400 bee hives on the property which produce some of the best honey I’ve ever tasted. They also manage to produce 100% of their electricity from solar power. Their commitment to preservation and sustainability was truly inspiring. The last farm Martin and I visited was Bella Vista in the stunningly beautiful city of Antigua. Antigua sits in a valley enveloped by the Agua, Fuego and Acatenango volcanoes and coffee farms scattered throughout the foothills. It is one of the most renowned coffee producing regions in the world due to the volcanic soils and climate. The Bella Vista farm and mill ran by Luis Pedro Zelaya, a fourth generation coffee producer, miller and exporter. Bella Vista is a massive facility with a farm, wet mill and dry mill on the property. It was here, on our final day, that Marin and I really got serious about cupping coffees. Over the course of the day, we cupped 60 different coffees, with nothing but a small lunch break midway through. For me, the cupping was a combination of intimidation (due to the quantity, seriousness and the fact that I was cupping with Martin), excitement and well… just plain hard work. Luckily, we found some exceptional coffees and were lucky enough to secure 274 bags out of our favorite picks. I embarked on this, my first origin trip, with a bit of trepidation not knowing what to expect of what I would get out of it. I came home with more knowledge than I could have hoped for as well as a newfound passion and excitement for the work I do. It’s hard to explain what it feels like to meet the people who labor year-long to produce the coffees I’m so lucky to roast every day. I’ve spent the last 5 years roasting the coffees produced by these great people and it was an honor to finally meet them and see the life of these coffees before they get to me. These people live and breathe coffee every day. They put their literal blood, sweat and tears into their craft and, without them, I wouldn’t be here. It’s easy to take coffee for granted. We don’t expect people to understand that 450 pounds of coffee cherries only produce 80 pounds of green coffee to roast and that those 80 pounds will only yield about 67 pounds of roasted coffee. It’s easy to forget how much work goes into providing the “convenience” of coffee. It’s something I’ll never overlook again. This origin trip was truly a life changing event for me. I have always been proud to be a coffee roaster, but I never felt as much responsibility to be great at my job as I do now. Seeing how difficult it is to produce these amazing coffees, I can’t imagine letting any of their potential go to waste by not roasting them to the best of my ability. I’ve never felt more inspired or motivated to perfect my craft and I can’t wait for my next trip to origin.